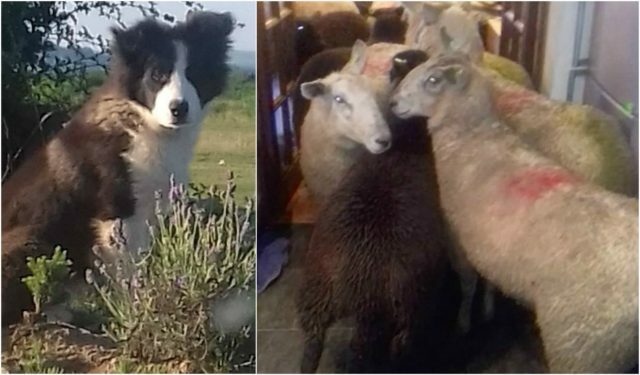 Rocky the border collie was in training for one incredibly important job: learning how to herd sheep. The 7-month-old little puppy from Devon, England, took his job pretty seriously. He took it so seriously, that one day he decided to show off his new skills by rounding up his nine ovine charges and bringing them up to the house. Only one problem, he literally brought them into the house – video at the bottom. 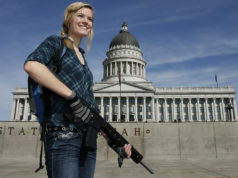 Rosalyn Edwards told The Telegraph that she was in the kitchen when she heard some strange noises. She turned around to see the proud puppy had led the sheep through an open gate and into the house via the back door. Edwards posted a short video on Facebook of the sheep in her house, writing, “Rocky the sheepdog, brought a whole new meaning to ‘bringing the sheep home! '” In the video, she and her husband can be heard trying to shoo the animals (who don’t seem even a little bit fazed) out of the house. Eventually they did manage to convince the sheep to leave through the front door, leaving quite a mess behind.